Product prices and availability are accurate as of 2019-04-16 05:29:03 EDT and are subject to change. Any price and availability information displayed on http://www.amazon.com/ at the time of purchase will apply to the purchase of this product. 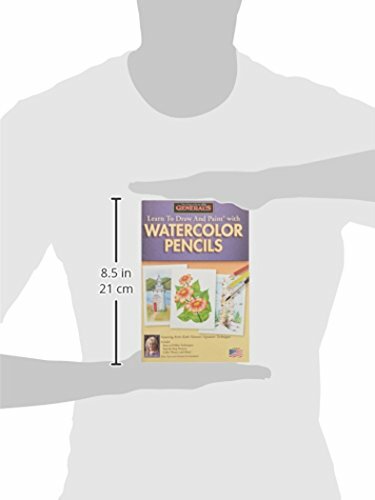 GENERAL PENCIL-Learn To Draw And paint With Watercolor Pencils. Learn to draw and paint with watercolor pencils! 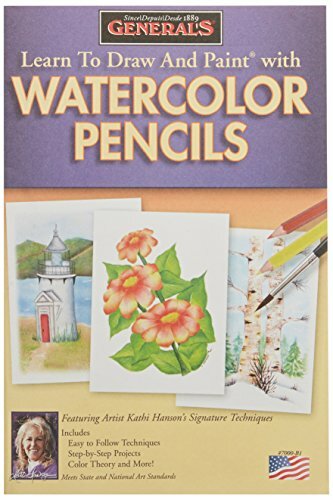 Just open your kit; pick up your pencil and follow the fun and easy lessons in this book as they guide you through twelve techniques for using General's Kimberly watercolor pencils. Simply follow the step-by-step illustrations to learn color theory; blending and how to create unique pencil artwork. This booklet contains easy to follow techniques; step-by-step projects; color theory and more. Author/Artist: Kathi Hanson. Softcover; 31 pages. Published 2011. Made in USA.